I had an insulin pump for over four years. I learned a lot about Insulin from using the pump. One of the things that I learned about Insulin injection is that insulin injection points need to be moved after a while. The reason is that the area around the injection becomes Insulin Resistant and insulin isn’t as effective in that area. Eventually, a whole part of the body becomes unusable and may remain that way for years. I could no longer pump into the area to the sides of my navel. It gets harder and harder to find a place to pump Insulin. There are limited areas to pump. Some are pretty hard to reach, uncomfortable or just plain impractical. The other thing I learned is that there’s localized fat deposited in the same area as the Insulin injection point was placed. This fact has been noted in the literature for almost 70 years (Renold AE, Marble A, Fawcett DW. Action of insulin on deposition of glycogen and storage of fat in adipose tissue. Endocrinology. 1950;46(1):55–66.). SOON after the discovery of insulin, clinical observers reported the occurrence … hypertrophies (Eeg-Olofsson, 1930; Rowe and Garrison, 1932) of subcutaneous adipose tissue at the site of repeated insulin injections. A number of case reports and statistical studies have since been published. … lipodystrophy without evidence of inflammation has not been reported following injection of substances other than insulin. The production of insulin lipodystrophies in animals has been attempted by Reed, Anderson, and Mendel (1930), Marble and Smith (1942), Goldner (1943) and Oesterreicher (1947) with conflicting results. In the search for an explanation of the effect of insulin on the adipose tissue of diabetics, various factors not concerned with the actual metabolic action of insulin have been suggested but supporting experimental evidence has been lacking (Marble and Smith, 1942). 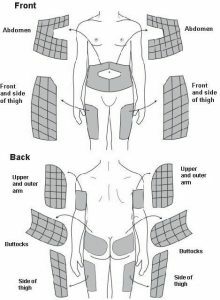 This is interesting to me because of excess skin. My fat was enlarged by Hyperinsulinemia both from diet and exogenous Insulin. I also do this to prevent calf cramps which I get when I don’t supplement electrolytes. I am putting 1 teaspoon of NoSalt or Morton Lite Salt plus one teaspoon of Sea Salt into 16 ozs of water and adding that water to my coffee during the day. This also tends to stabilize my water weight swings which I think is important in determining day-to-day weight fluctations. 1 tsp Lite Salt has 290(*4) mg of Sodium and 350(*4) mg of Potassium. 1 tsp of Sea Salt has 560(*4) mg of Sodium. An interesting small study which fed subjects a very low fat diet and reversed their Type 2 Diabetes in a couple of months (Kitt Falk Petersen, Sylvie Dufour, Douglas Befroy, Michael Lehrke, Rosa E. Hendler, Gerald I. Shulman. Reversal of Nonalcoholic Hepatic Steatosis, Hepatic Insulin Resistance, and Hyperglycemia by Moderate Weight Reduction in Patients With Type 2 Diabetes. Diabetes Mar 2005, 54 (3) 603-608). To examine the mechanism by which moderate weight reduction improves basal and insulin-stimulated rates of glucose metabolism in patients with type 2 diabetes, we used 1H magnetic resonance spectroscopy to assess intrahepatic lipid (IHL) and intramyocellular lipid (IMCL) content in conjunction with hyperinsulinemic-euglycemic clamps using [6,6-2H2]glucose to assess rates of glucose production and insulin-stimulated peripheral glucose uptake. The participants were fed a low calorie, low fat diet. Eight obese patients with type 2 diabetes were studied before and after weight stabilization on a moderately hypocaloric very-low-fat diet (3%). These were full blown diabetic patients. The diabetic patients were markedly insulin resistant in both liver and muscle compared with the lean control subjects. These changes were associated with marked increases in IHL (12.2 ± 3.4 vs. 0.6 ± 0.1%; P = 0.02) and IMCL (2.0 ± 0.3 vs. 1.2 ± 0.1%; P = 0.02) compared with the control subjects. IHL is fat in the liver. The IHL went from 12.2% to 0.6% in the diabetics with the treatment. A weight loss of only ∼8 kg resulted in normalization of fasting plasma glucose concentrations (8.8 ± 0.5 vs. 6.4 ± 0.3 mmol/l; P < 0.0005), rates of basal glucose production (193 ± 7 vs. 153 ± 10 mg/min; P < 0.0005), and the percentage suppression of hepatic glucose production during the clamp (29 ± 22 vs. 99 ± 3%; P = 0.003). That is a fairly small weight loss but it shows that loss of fat from the liver drops the production of glucose from the liver significantly. These diabetics lost 81% of their liver fat! but no significant change in insulin-stimulated peripheral glucose uptake or IMCL (2.0 ± 0.3 vs. 1.9 ± 0.3%; P = 0.21). This showed it wasn’t peripheral Insulin Resistance that was the problem, but rather fat in the liver. It also wasn’t other fat (IMCL). In conclusion, these data support the hypothesis that moderate weight loss normalizes fasting hyperglycemia in patients with poorly controlled type 2 diabetes by mobilizing a relatively small pool of IHL, which reverses hepatic insulin resistance and normalizes rates of basal glucose production, independent of any changes in insulin-stimulated peripheral glucose metabolism. The average course of treatment was 7 weeks. After the treatment their Fasting Insulin levels were almost 1/3 of the original numbers. Low carb, of course, can quickly achieve the same results but this does point to the liver fat as the root cause of diabetes. I did this in two weeks with Low Carb and Intermittent Fasting. Studies have shown that losing weight before surgery and avoiding carbohydrates and fats in the weeks leading up to surgery can reduce the size of your liver through a process known as “ketosis,” which is when your body starts to use its fat stores because it has run out of fuel (calories). Excess fat in the liver appears to be one of the first places the body turns to for this added fuel. Here’s a second related study (Noud A. van Herpen Vera B. Schrauwen-Hinderling Gert Schaart Ronald P. Mensink Patrick Schrauwen. Three Weeks on a High-Fat Diet Increases Intrahepatic Lipid Accumulation and Decreases Metabolic Flexibility in Healthy Overweight Men. The Journal of Clinical Endocrinology & Metabolism, Volume 96, Issue 4, 1 April 2011, Pages E691–E695). Twenty overweight men were randomly allocated to low- or high-fat groups (age, 54.0 ± 2.3 and 56.4 ± 2.5 yr; body mass index, 29.3 ± 0.6 and 28.3 ± 0.5 kg/m2, respectively). Both groups started with a 3-wk low-fat diet [15% energy (En%) as protein, 65 En% as carbohydrates, 20 En% as fat], after which half of the subjects switched to a 3-wk isocaloric high-fat diet (15 En% protein, 30 En% carbohydrates, 55 En% fat). After 3 and 6 wk, IHL and IMCL content were assessed by 1H magnetic resonance spectroscopy and a muscle biopsy, and insulin sensitivity was studied using a hyperinsulinemic-euglycemic clamp. An additional liver scan was performed after 1 wk in the high-fat group. Note this was not a low carb study because both diets were relatively high in carbohydrates. However, the results are interesting. IHL decreased by 13% in the low-fat group and increased by 17% in high-fat group (P = 0.047). IMCL content was unaffected (P = 0.304). Insulin sensitivity was unaffected. At wk 3, IHL correlated negatively with insulin sensitivity (r = −0.584; P = 0.009, all subjects combined). Metabolic flexibility, defined as change in respiratory quotient upon insulin stimulation, was decreased after 3 wk of the high-fat diet (change in respiratory quotient was +0.02 ± 0.02 vs.−0.05 ± 0.1 in low-fat vs. high-fat group, P = 0.009). The change in RQ was very small which shows that the carb/fat burning mixture was not much changed. There was enough carbs present to cause the liver to get fatter. I used to be on Facebook groups for Diabetics. I had to leave the groups. They were just too depressing and there was no hope. Many of the people were lamenting their issues with getting on welfare, etc. They had basically already checked out of life due to complications from Diabetes. If you tell people who believe they are just going to get worst that there is hope for something better they just don’t believe it. It all starts with believing you can get well. You don’t have to progress down the road of chronic disease, particularly Type 2 Diabetes. You can improve and be healed. A Low Carb diet can get you there. When I was on the Insulin Pump I asked about getting Continuous Glucose Monitoring (CGM). CGM allows you to know your blood sugar all through the day without finger pricks. 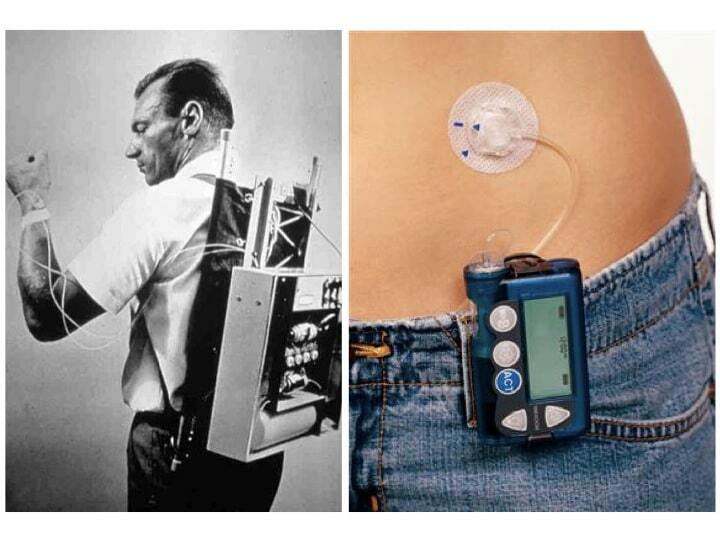 You insert a pod onto your body and it measures your blood glucose continually. You can then see graphs of your blood glucose at all hours of the day/night and log the data. At that time I was told that I was not qualified for CGM because my control was too good. The idea behind CGM is that if you have feedback and alerts for highs/lows you can treat them effectively. Treatment of highs is via administration of Insulin and treatment of lows is via administration of glucose. 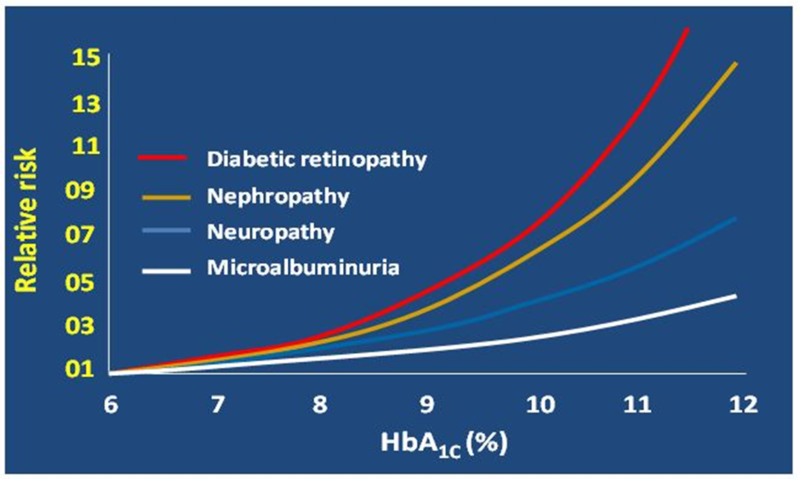 Mean HbA1c levels decreased to 7.7% in the CGM group and 8.0% in the control group at 24 weeks (adjusted difference in mean change, −0.3% [95% CI, −0.5% to 0.0%]; P = 0.022). That doesn’t seem like all that big of an improvement to me. Certainly, the people with CGM did not have good control by any standard. I want to know why the control group got a 0.5% drop. Any low carb diet is much more effective than that treatment. How Low in Carbs Should Low Carb Be for Diabetics? There’s a study (Nutrition & Metabolism, December 2006, 3:22. Low-carbohydrate diet in type 2 diabetes. Stable improvement of bodyweight and glycemic control during 22 months follow-up. Jørgen Vesti, Nielsen, Eva Joensson.) which partially answers the question. This study put people on a relatively low carb diet of 20 % carbohydrates. But was that low enough? This group lost more around 20 lbs. More importantly the group reduced their HbA1c values from 8.0 to 6.9. Unfortunately, this is still not low enough to reverse diabetes. 20% of 2000 calories is 400 calories or 100 grams of carbohydrates. I conclude from this that 100 grams of carbohydrates is too high of a limit to reverse diabetes. 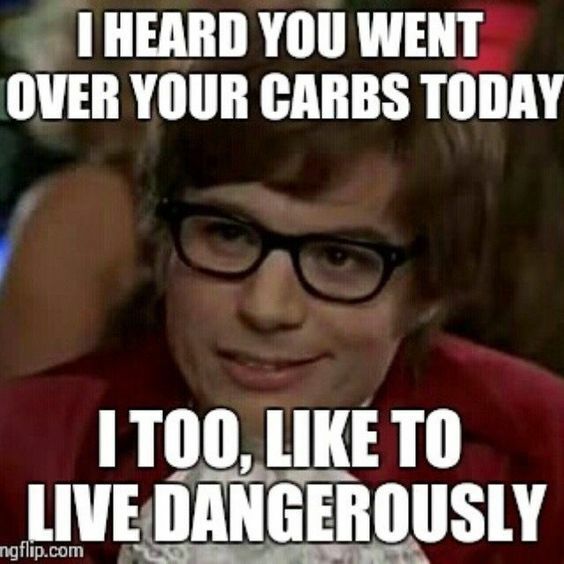 Author DougPosted on May 1, 2018 May 17, 2018 Categories Diabetes, Diabetes Medications, Low Carb Diet, StudiesLeave a comment on How Low in Carbs Should Low Carb Be for Diabetics? 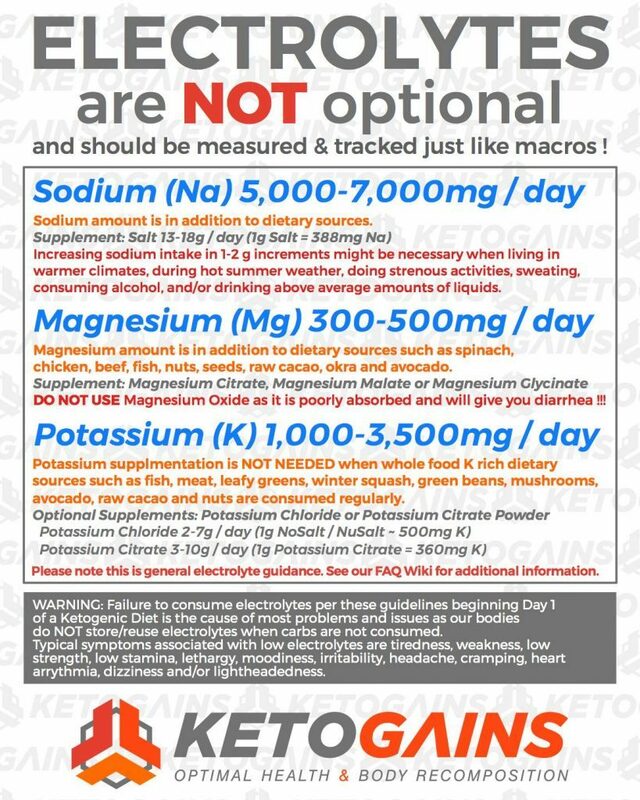 The ketogenic diet (for the control/reversal of diabetes) is based on the notion that excessive consumption of carbs leads to Insulin Resistance which is the basis of diabetes. Thus, reducing carbohydrates results in a reversal of diabetes because it improves Insulin Sensitivity (ie, it decreases Insulin Resistance). Agreed. And, that is the premise of the ketogenic diet as well. Insulin is a hormone that helps regulate the amount of glucose, a breakdown product of carbohydrates, in our blood required for optimal brain function as well controlling enzyme activities, gene expression and the distribution and storage of energy. Here Dr Sears shows a common but fundamental misconception about the role of dietary carbohydrates. Carbohydrates are not required to produce glucose. The liver can produce more than enough glucose in the liver though Gluconeogenesis (GNG) from other substrates such as body fat. If dietary carbohydrates were required then the blood sugar during fasting would not level out – which it does. To be fair, I assume Dr Sears knows better. 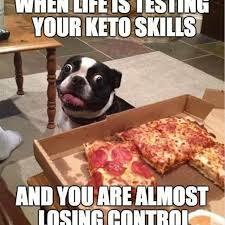 So What’s the Difference of Keto vs Zone? insulin resistance … is caused by increased cellular inflammation. There are several factors that play a role in insulin resistance, but cellular inflammation is the biggest culprit. Dr Sears explains his view of cellular inflammation in this article (What is Cellular Inflammation? Dr. Barry Sears. Jan 10, 2012). In the article he cites quite a few papers but many of these are his own papers. Cellular inflammation results from an imbalance of two key fatty acids in our blood, Arachidonic Acid (AA) and Eicosapentaenoic Acid (EPA). When the levels of arachidonic acid are in excess it leads to the generation of hormones known to be pro-inflammatory. This inflammation makes it difficult for insulin to communicate with our cells in the liver, muscle, and adipose tissue. Human beings evolved consuming a diet that contained about equal amounts of n−3 and n−6 essential fatty acids. Over the past 100–150 y there has been an enormous increase in the consumption of n−6 fatty acids due to the increased intake of vegetable oils from corn, sunflower seeds, safflower seeds, cottonseed, and soybeans. n−3 Fatty acids, however, have antiinflammatory, antithrombotic, antiarrhythmic, hypolipidemic, and vasodilatory properties. These beneficial effects of n−3 fatty acids have been shown in the secondary prevention of coronary heart disease, hypertension, type 2 diabetes, and, in some patients with renal disease, rheumatoid arthritis, ulcerative colitis, Crohn disease, and chronic obstructive pulmonary disease. Most of the studies were carried out with fish oils [eicosapentaenoic acid (EPA) and docosahexaenoic acid (DHA)]. However, α-linolenic acid, found in green leafy vegetables, flaxseed, rapeseed, and walnuts, desaturates and elongates in the human body to EPA and DHA and by itself may have beneficial effects in health and in the control of chronic diseases. This particular paper, at least, supports Dr Sears’ position on dietary causes other than high carbohydrates being the source of hyperinsulinemia and Type 2 Diabetes. However, one of the referenced papers sheds light on this as a diabetic therapy. In a randomized, double-blind, placebo-controlled, crossover trial, patients with type 2 diabetes consumed 6 g n−3 fatty acids (EPA and DHA)/d for 6 mo in addition to their usual oral therapy (14). Fasting serum glucose concentrations increased by 11% during the n−3 fatty acid phase and by 8% during the placebo phase (olive oil), showing a nonsignificant net increase of 3%. Similarly, there was no significant change in glycated hemoglobin concentrations. However, fasting triacylglycerol concentrations decreased by 43%, which is a highly significant change. This study is the largest and longest reported placebo-controlled trial of the effect of n−3 fatty acids on type 2 diabetes. It showed convincingly that n−3 fatty acid intake, along with oral therapy for diabetes, can lower triacylglycerol concentrations with no adverse effects on glycemic control. Diabetic control as judged by five criteria did not deteriorate after 6 months of fish oil compared to 6 months of olive oil supplementation in 16 patients with NIDDM who were eating a low fat, high complex carbohydrate diet. Plasma total and VLDL triglyceride and cholesterol decreased significantly after fish oil supplementation; plasma total and HDL cholesterol concentrations did not change. The LDL cholesterol level was significantly increased with fish oil supplementation, suggesting that patients with NIDDM who are given a fish oil supplement to decrease the plasma total and VLDL triglyceride levels may also need further dietary and/or pharmaceutical therapy to maintain an LDL cholesterol level compatible with a low risk of coronary disease. The study emphasizes the safe use of fish oil over a 6-month period in diabetic patients. The use of fish oil has no adverse affects on HbA1 c in diabetic subjects and lowers triglyceride levels effectively by almost 30%. However, this may be accompanied by a slight increase in LDL cholesterol concentration. Fish oil may be useful in treating dyslipidemia in diabetes. Fish oil administration resulted in a tendency for fasting blood glucose levels to be higher in NIDDM subjects (0.43 mmol/l [95% CI, 0.00–0.87], P = 0.06) and to be significantly lower in IDDM patients (-1 . 86 mmol/l [95% CI, -3.1 to -0.61], P = 0.05). This difference in fasting blood glucose responses to fish oil between NIDDM and IDDM subjects was significant (P = 0.01). Fish oil consumption lowered serum triglycerides significantly by 25–30% in both types of subjects and resulted in a slight but significant increase in LDL cholesterol levels in NIDDM subjects only. So it sounds to me like fish oil has no real/consistent effect on blood sugars and they raise LDL levels a bit. They do lower serum triglycerides which is a good thing. Makes me glad I take them. So Dr Sears’ argument that Diabetes is ultimately caused by incorrect amounts of Omega-3 to Omega-6 ratios is demonstrably refuted by the actual evidence that supplementation doesn’t improve HbA1C. This may also be the reason that people on the Zone diet don’t get cured from Diabetes – except to the extent that their weight drops. The CAC score is an independent marker of risk for cardiac events, cardiac mortality, and all-cause mortality. In addition, it provides additional prognostic information to other cardiovascular risk markers. The well-established indications for the use of the CAC score include stratification of global cardiovascular risk for asymptomatic patients: intermediate risk based on the Framingham risk score (class I); low risk based on a family history of early CAD (class IIa); and low-risk patients with diabetes (class IIa). In symptomatic patients, the pre-test probability should always be given weight in the interpretation of the CAC score as a filter or tool to indicate the best method to facilitate the diagnosis. Therefore, the use of the CAC score alone is limited in symptomatic patients. In patients with diabetes, the CAC score helps identify the individuals most at risk, who could benefit from screening for silent ischemia and from more aggressive clinical treatment. See also (J Am Coll Cardiol. 2009 Jan 27; 53(4): 345–352. Coronary calcium predicts events better with absolute calcium scores than age-gender-race percentiles – The Multi-Ethnic Study of Atherosclerosis (MESA). Expressing CAC in terms of age and gender specific percentiles had significantly lower area under the ROC curve(AUC) than using absolute scores (women: AUC 0.73 versus 0.76,p=0.044; men: AUC 0.73 versus 0.77,p<0.001). Akaike’s information criterion (AIC) indicated better model fit using the overall score. Both methods robustly predicted events(>90th percentile associated with a hazard ratio(HR) of 16.4(95% c.i. 9.30,28.9), and score >400 associated with HR of 20.6(95% c.i. 11.8, 36.0). Within groups based on age/gender/race/ethnicity specific percentiles there remains a clear trend of increasing risk across levels of the absolute CAC groups. In contrast, once absolute CAC category is fixed, there is no increasing trend across levels of age/gender/race/ethnicity specific categories. Patients with low absolute scores are low risk, regardless of age-gender-ethnicity percentile rank. Persons with an absolute CAC score of >400 are high risk, regardless of percentile rank. I am interested in getting my CAC score to see what damage years of diabetes and hypertension may have done to me. I was on diuretics for my hypertension for years before I was diagnosed as a diabetic. From (CARDIOLOGY, May 23, 2012, Effects of Thiazide Diuretics on Glucose Metabolism. Joel M. Gore, MD reviewing Stears AJ et al. 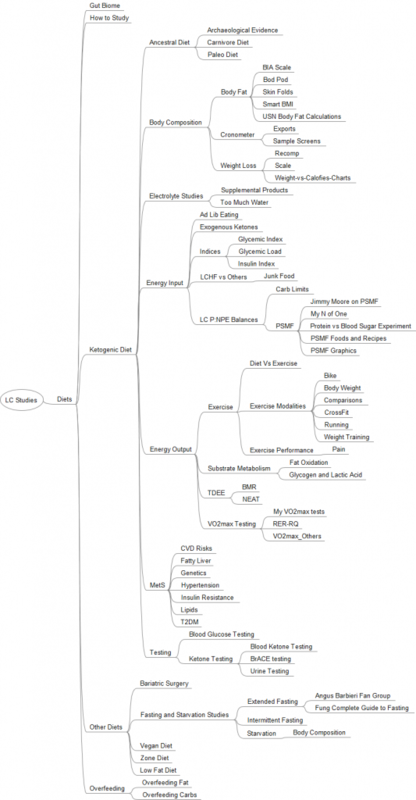 Hypertension 2012 May). In the first trial, 41 patients had a significant increase in blood glucose during a 2-hour oral glucose tolerance test (OGTT) after 4 weeks of bendroflumethiazide treatment, but not after 4 weeks of atenolol treatment. Things that make me go — Hmmm.